The Alaska Heart Disease and Stroke Prevention Program works with several associations, programs, and agencies statewide to improve cardiovascular health. The Take Heart Alaska Coalition advocates for heart-healthy lifestyles, improved access to preventive and treatment services, and evidence-based practice in the health care community. 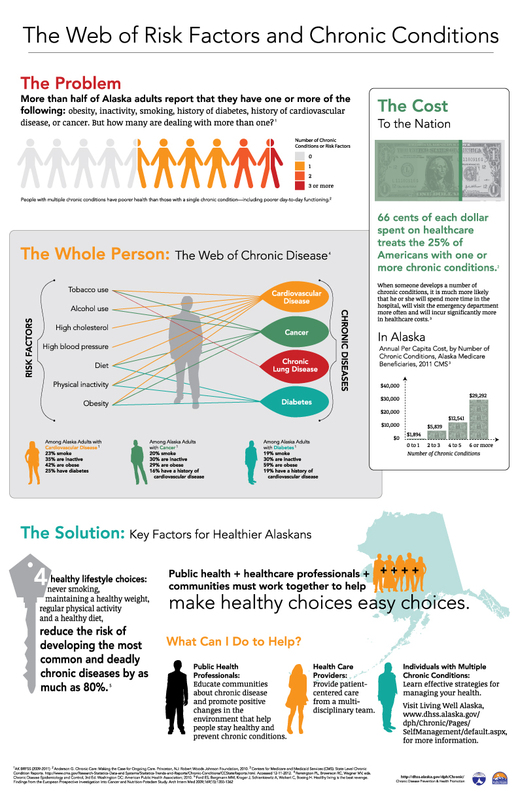 You can access free resources on the Take Heart Alaska web page or by contacting the HDSP program at 907-465-8670 or heart@alaska.gov. > Improving the Screening, Prevention, and Management of Hypertension–An Implementation Tool for Clinic Practice Teams. WA State Dept of Health. 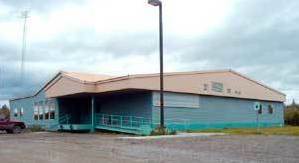 The Clara Morgan Subregional Clinic in Aniak* — a Federally Qualified Health Center that received training to improve care for patients with high blood pressure. High Blood Pressure is common — far too common. It is also quiet, sneaky, and can be deadly. Nearly one out of every three people has high blood pressure, which is also called hypertension. Less than half of people with high blood pressure have it under control. Since high blood pressure affects the functioning of the blood vessels and blood vessels supply oxygen to every tissue in the body, the effects of hypertension can involve any part of the body. Uncontrolled high blood pressure increases the risk for stroke, heart failure, heart attack, kidney disease, dementia, impaired vision, erectile dysfunction, atherosclerosis, and many other conditions. Blood pressure is measured using two numbers. The first number — systolic blood pressure — measures the pressure in blood vessels when the heart beats. The second number — diastolic blood pressure — measures the pressure in blood vessels when the heart rests between beats. Based on these measurements, people can be normal or have pre-hypertension (moderate) or high blood pressure. Source: CDC VitalSigns Hypertension, 2012. There are effective treatment options for people with high blood pressure. Pre-hypertension can be addressed with more frequent blood pressure monitoring and healthy lifestyle changes, such as quitting smoking, moving more, eating nutritious meals, and losing even a little weight. High blood pressure and the health problems it causes can be controlled through medications and healthy lifestyle changes. Of the 35 million adults with uncontrolled high blood pressure, 49% know they have high blood pressure, see their doctor, and take their prescribed medicines; 37% are unaware that they have high blood pressure; and 14% are aware of their hypertension, but are not taking blood pressure medication. People can have high blood pressure and not know it for several reasons. Most of the time, high blood pressure doesn’t feel like anything. It truly is the “silent killer.” If people do not have their blood pressure measured, they can’t know if they have high blood pressure. People may not be checking their blood pressure because they do not have access to or are not using the health care system. Hypertension can go undiagnosed, even when someone is seen by their health care provider and has their blood pressure checked. This can happen with “masked hypertension,” when a person has normal blood pressure readings in the clinic, but actually has high blood pressure during their usual daily life. A different issue is “white coat hypertension,” when a person has continually elevated blood pressure in the clinic, but has a normal blood pressure when measuring at home or outside the clinic. Missed diagnoses also can occur when a person has multiple elevated blood pressure readings, but is not told by a health care provider that they have high blood pressure. In April 2015, the Alaska Heart Disease and Stroke Prevention Program partnered with the Alaska Primary Care Association to improve high blood pressure control in Alaska. The focus of this project was to have quality improvement (QI) facilitators travel to the clinics to train and coach staff members in Federally Qualified Health Centers (FQHCs) to improve care for patients with high blood pressure. The QI facilitators use proven quality improvement process tools and techniques to empower caregivers to make changes in their clinics. During the first year of the project, six FQHC clinics located in Aniak, Wrangell, Naknek, Homer, Yakutat, and Fort Yukon were invited to participate. Using a specific performance measure tracking high blood pressure control, all six clinics have shown improvement in the percentage of their patients controlling their blood pressure. Some of the clinics have made significant changes and have shared those lessons learned and best practices with other clinics. Starting in July 2016, six additional clinics will be invited to participate, increasing the potential for more patients to control their blood pressure. Adults 40 years or older and those at increased risk for high blood pressure should be screened yearly. People at increased risk include those with pre-hypertension, who are overweight or obese, and who are African American. Adults ages 18 to 39 years with normal blood pressure who do not have other risk factors should be re-screened every three to five years. Check and record blood pressures at a health fair, pharmacy, or at home. Share the results with your health care providers. o Use a team-based approach involving all clinic staff and practitioners to focus on the importance of identifying and controlling high blood pressure. o Check and record blood pressures at every clinic visit for every patient. Measure blood pressures using proper technique (correct cuff size, proper positioning, arm and feet supported, quiet, free of tobacco and caffeine). Why Blood Pressure Matters. American Heart Association website. Reviewed August 9, 2014. Accessed March 31, 2016. Centers for Disease Control and Prevention. Measuring Blood Pressure. Accessed March 21, 2016. Weber MA, Schiffrin EL, White WB, et al. Clinical practice guidelines for the management of hypertension in the community. A statement by the American Society of Hypertension and the International Society of Hypertension. J Hypertens. 2014;32(1):3-15. Angeli F, Reboldi G, Verdecchia P. Masked hypertension: evaluation, prognosis, and treatment. Am J Hypertens. 2010 Sep;23(9):941-8. doi: 10.1038/ajh.2010.112. Epub 2010 May 27. Final Recommendation Statement: High Blood Pressure in Adults: Screening. U.S. Preventive Services Task Force. November 2015. Washington State Department of Health. Improving the screening, prevention, and management of hypertension – An implementation tool for clinic practice teams; 2013. *Photo credit: Yukon-Kuskokwim Health Corporation. Cancer Indicator Profile Reports for Incidence and Mortality, 1996-2013 (in AK-IBIS) After selecting a report, click on “Complete Profile” on the left side of the window to view the entire report. Announcing CDPHP Webinar Series. Register here to attend.